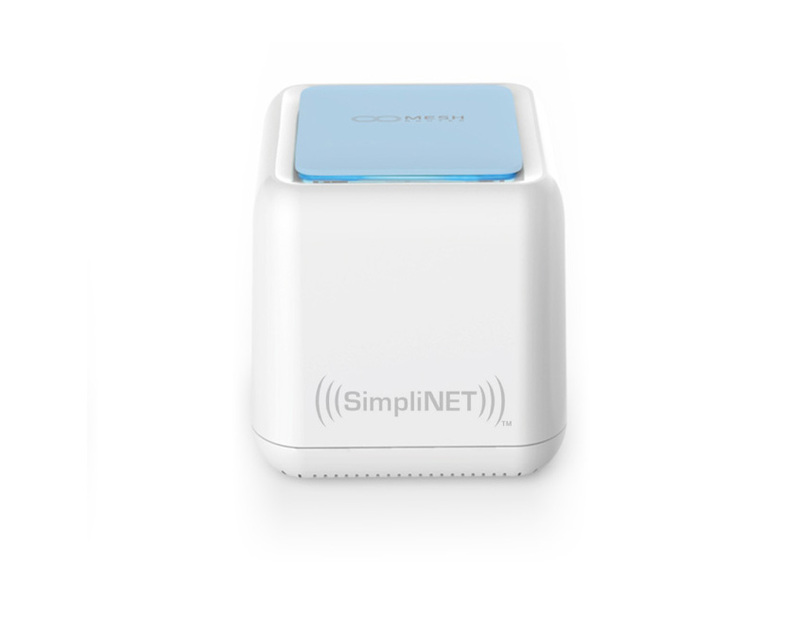 If you are looking for support for SimpliNET - Mesh WiFi System, please click below. The SimpliNET2 Router and Range Extenders automatically update themselves once they are connected to the Internet. These updates are downloaded and applied at night during quiet hours. After logining into the SimpliNET2 system the initial Status screen displays the current firmware version on the router, as shown below. Please let the SimpliNET2 devices update themselves to the latest firmware version before attempting to configure them. SimpliNET2 Mesh WiFi system provides mobile application-based and web browser-based configuration options. SimpliNET2 mobile applications require only a minimum set of application permissions on both Android and iOS, respecting your privacy. SimpliNET2 mobile apps for Android and iOS available for downloaded through the links below. The mobile applications provide step by step instructions for setting up and configuring your SimpliNET2 system. When you are using a web-browser based configuration the SimpliNET2 Mesh WiFi and the SimpliNET2 Smart Firewall must be configured separately. Using the wireless connection on your PC, Mac, or any device with a browser, connect to the SimpliNET2 WiFi Network. Alternatively, you can use an Ethernet cable to connect your computer to one of the LAN ports on the SimpliNET2 Router. Start a web browser and type in http://192.168.10.1 or http://ap.setup in the address bar. Login using the unique password located on the bottom of the SimpliNET2 Router unit. Customize your SimpliNET2 Mesh WiFi system without having to use the SimpliNET2 mobile application. Start a web browser on any PC or MAC with Internet access and type in https://portal.myrattrap.com/ in the address bar. You will need your email address, a username, a password and the 16-digit device ID located on the bottom of the SimpliNET2 Router unit to register your SimpliNET2 Smart Firewall. Once your email address is verified you will be able to login using your username and password to customize the security and privacy features offered by the SimpliNET2 Smart Firewall. You can download the Mesh WiFi User Guide in .PDF format. You can download the Smart Firewall User Guide in .PDF format. Please note that the SimpliNET2 system continuously improves itself through automatic software updates. The User Guide may not include all the features available in the web dashboard as some features may be experimental. Have a question about SimpliNET2? Please reach out to us by email help@mysimplinet.net. Most questions are answered on the SimpliNET2 FAQ Page. ©2019 IoT Defense Inc., Vienna, VA, USA. All Rights Reserved.